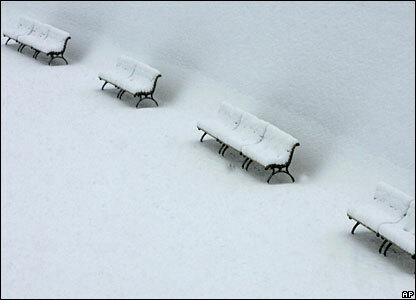 An empty park in Berlin - a large swathe of Europe is shivering under a blanket of snow. 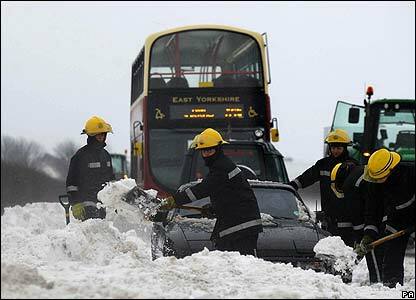 Britain's coldest December in a decade saw temperatures drop to an icy -11C overnight in north-east England and Scotland. 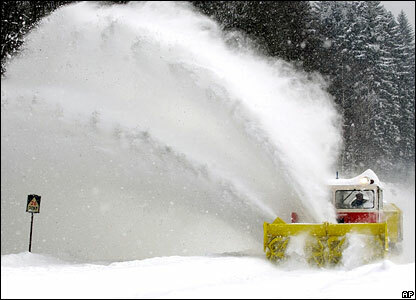 Snow ploughs are used to clear roads in the Czech Republic, as in much of Europe. 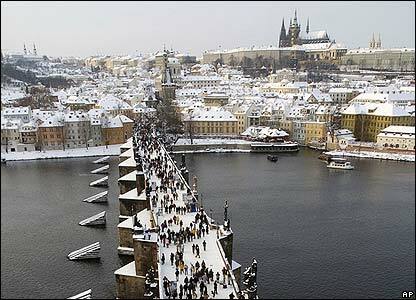 For strollers in Prague's historic old quarter the snow brings a new sparkle to ornate buildings. 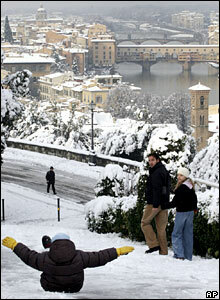 Elsewhere, children experimented with alternative forms of transport - here with a snowy Florence as backdrop. 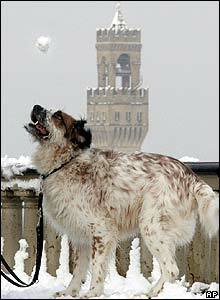 Humans are not the only ones fascinated by the abundance of snow - this dog is also having fun in Florence. 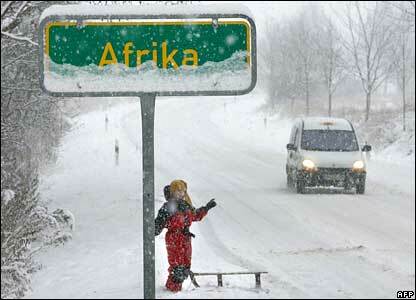 Germany has been covered in snow from north to south, with three feet (1m) reported in some mountainous areas. 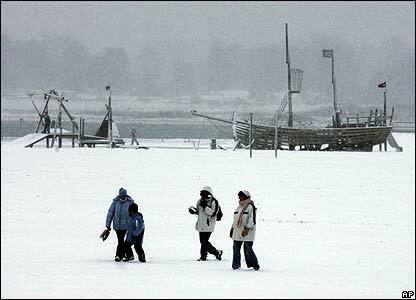 People walk on the snow-covered beach of Travemuende near Luebeck, northern Germany. 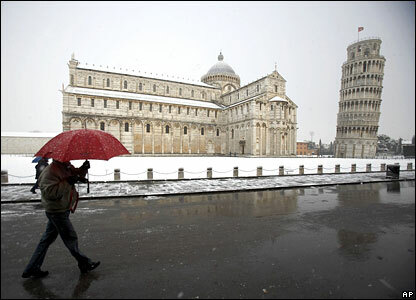 Even a light dusting of snow lends an unfamiliar air to familiar landmarks, such as Pisa's leaning tower.